Many technological applications require extraordinary materials that satisfy exceptional demands, materials often not available in nature or achievable through chemistry. By imbuing a material with an internal (i.e., ï¬�ne-scale) architecture â€“ geometry, connectivity, type and distribution of constituents, and complexity of interactions â€“ the macroscale response of the emerging architected material (also referred to as metamaterial) is exquisitely tailorable for original applications. Here, we focus on the material dynamics, specifically, the propagation of waves within the material. Linear, small-amplitude waves disperse within an architected medium and readily dissipate due to inherent material damping, typically hindering the anticipated performance. Given the additional model complexity and rarity of analytical solutions, the effects of nonlinear, large-amplitude waves in architected materials have seen little theoretical scrutiny, representing a relatively uncharted frontier. In this presentation, we will discuss both the linear and the strongly nonlinear wave regimes. In one part, we propose a solution to a classic materials challenge â€“ simultaneously high stiffness and high damping â€“ using architected materials with embedded resonating units which has applications for load-bearing structural elements subject to dynamic loads. In the second part, damping beneficially stabilizes (rather than destroy) nonlinear transition waves in an architected material with geometric multi-stability. Here, domain evolution normally associated with the atomic-scale processes of switching and phase transformation is reproduced qualitatively and quantitatively at the experimentally accessible macroscale in the highly tunable architected material with applications to soft robotics. 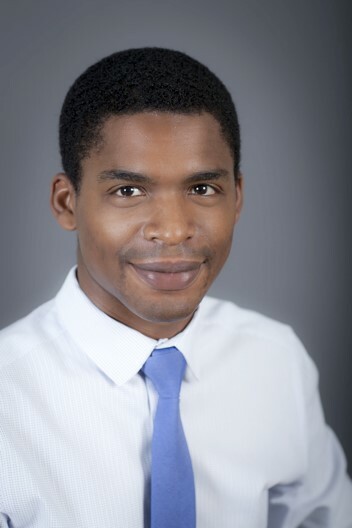 Michael Frazier is a Postdoctoral Scholar in Caltech's Graduate Aerospace Laboratories. He graduated from Embry-Riddle Aeronautical University (Arizona, USA) with a degree of Bachelor of Science in Aerospace Engineering in May 2009. He entered the graduate program at the University of Colorado, Boulder (Colorado, USA) in August 2009 supported by AGEP, GAANN, and NSF research fellowships. Under the advisement of Prof. Mahmoud Hussein, he studied dissipative wave propagation in phononic materials, ultimately, receiving his doctoral degree in Aerospace Engineering Sciences in August 2015. After the completion of his doctoral degree, in August 2015, he joined the Kochmann Research Group led by Prof. Dennis Kochmann at the California Institute of Technology (Caltech) (California, USA) as a postdoctoral scholar. His research comprises linear/nonlinear wave propagation in phononic materials and mechanical metamaterials. His research aims to reveal, understand, and apply the dynamics of materials with engineered internal structure with a focus on dissipation and nonlinearity.